Make Your Work Sparkle With These String Lights Elements! 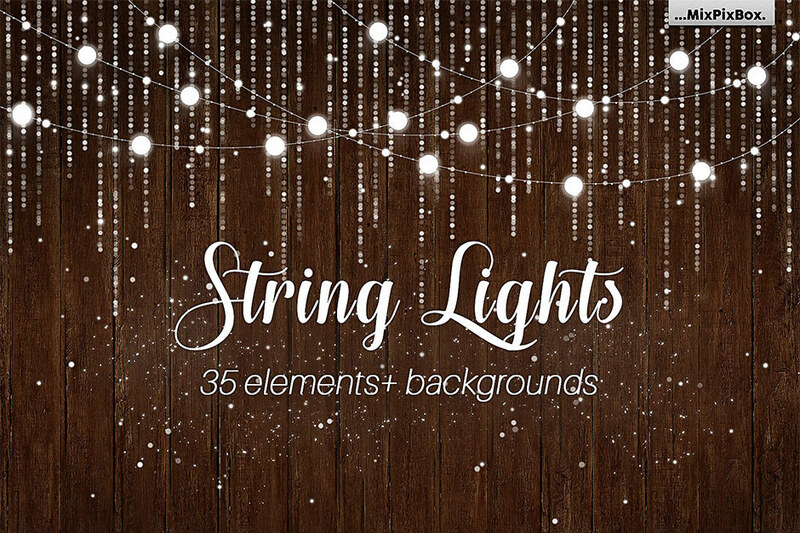 This set of String Lights Elements is a perfect for cards, wedding invitations, invitations, web design, graphic design, handmade craft items, printed paper items, scrapbooking, prints and for any of your project. File size is approx 154.3MB (159.3MB unzipped), offered as a single download.